A look at how to complete the Last Wish raid in Destiny 2: Forsaken. In Destiny 2: Forsaken, the first available raid is known as “Last Wish” and is notable for being one of the hardest Destiny raids to complete. Last Wish takes place shortly after the Destiny 2: Forsaken campaign ending. 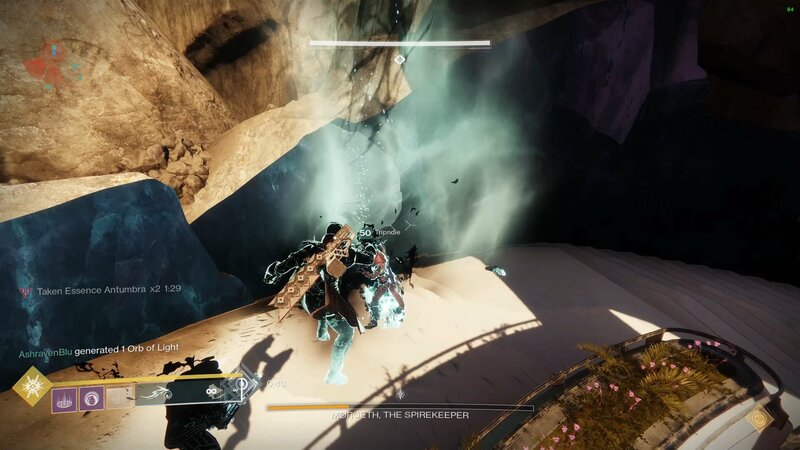 In the raid, Guardians have to enter the Dreaming City and defeat Ahamkara. 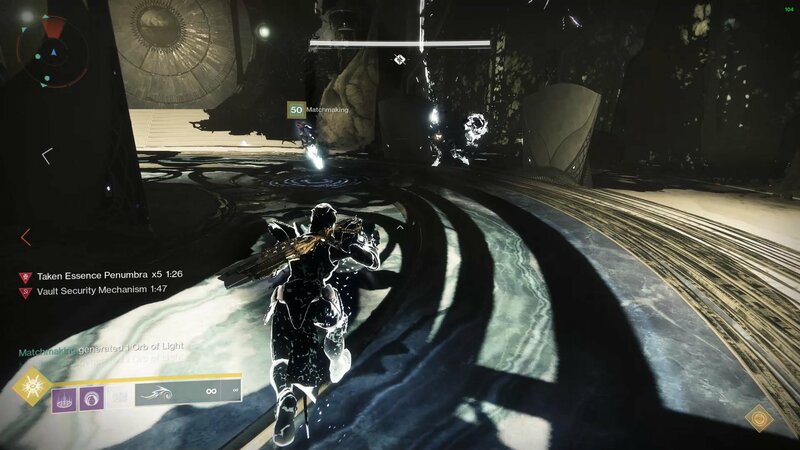 Once you’re fully prepared to dive into the grueling process that is the Last Wish raid, we have a few tips on hand that’ll help you defeat it as easily as possible. A look at some of the classes and weapons to use in the Last Wish raid in Destiny 2: Forsaken. 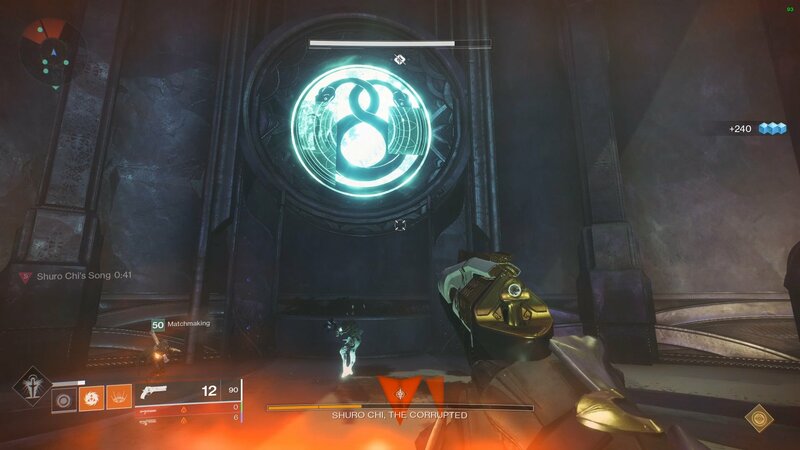 To have the best chance at defeating the Last Wish raid in Destiny 2: Forsaken, we recommend you have a Power Level of at least 560. While you can still attempt the Last Wish raid at a lower Power Level, it’ll be a lot more challenging and frustrating. What’s more, each subsequent encounter in the Last Wish raid raises the required Power Level by 5, with the final encounter requiring a Power Level of at least 580. In addition to the recommended Power Level, players have been curious as to which classes and team compositions to use when approaching the Last Wish raid. When comparing all Destiny 2 classes, we recommend using a Nightstalker coupled with Tether to generate Orbs of Light and provide mob control. Meanwhile, a Dawnblade Warlock coupled with Well of Radiance can provide a crucial overshield and increased damage output. If you have them, equip your Warlock with Lunafaction Boots. Finally, Titans are better off going with Sentinel or Sunbreaker due to their ability to remain in their Super. With your classes and team composition selected, there are a variety of weapons that are viable for use in the Last Wish raid. On the surface, most of this boils down to comfort level. If you’re better one weapon in particular, there’s nothing preventing you from continuing to use it in the Last Wish raid. Of course, we strongly recommend that all Guardians unlock Sleeper Simulant and Whisper of the Worm. Both of these Exotic weapons deal high amounts of damage which is ideal for the Last Wish raid. Meanwhile, weapons like the Ikelos Shotgun can occupy your Energy slot thanks to its high DPS (though the Badlander is equally as viable). 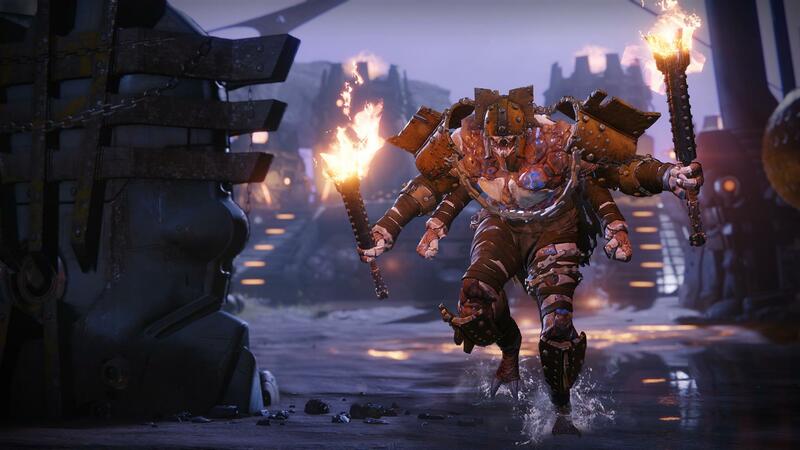 For Kinetic, Midnight Coup is preferable, and for a Year 2 weapon, a Go Figure with strong rolls such as Outlaw or Rampage can be used. In the Last Wish raid, there are 16 total symbol callouts to pay attention to. 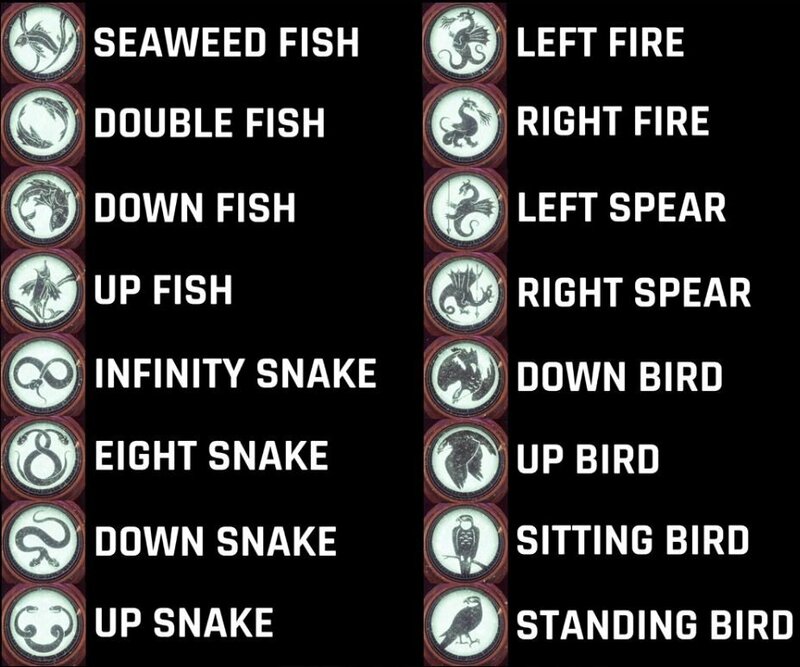 If you’re having a hard time deciphering one or more of these symbol callouts, you can reference the following symbol callout image courtesy of Shacknews. What the 16 symbol callouts mean in the Last Wish raid in Destiny 2: Forsaken. Take note of the 6 snake symbols located in the middle sunken arena. Locate plates around the room that match these 6 snake symbols. Stand on these plates until a Knight spawns, then kill the Knight. 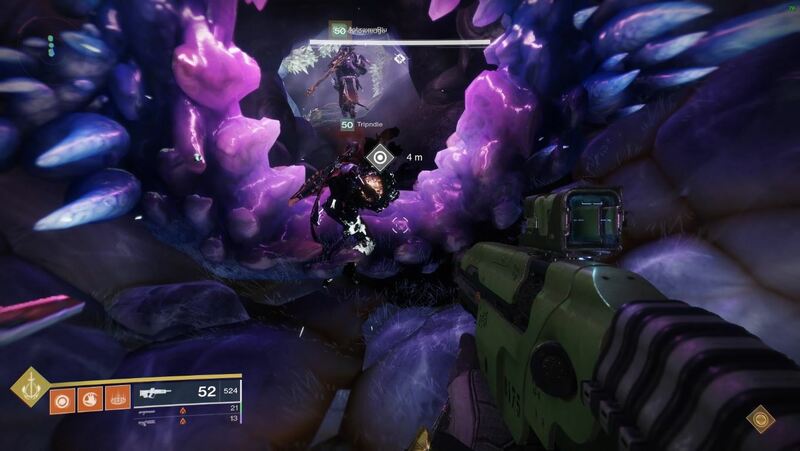 Group up in the center and begin dealing damage to Kalli, the Corrupted. Hide in the nearby safe rooms to avoid wiping, leave them to deal damage, then repeat until the next phase begins. The recommended Power Level to defeat Kalli, the Corrupted is 565 in the Last Wish raid in Destiny 2: Forsaken. Clear adds and approach Shuro Chi, the Corrupted. Assign one player to collect the Eye of Riven. Pick up a Prism Weapon, jump on a plate, and shoot to the right to form a triangle, thereby removing Shuro’s shield. Damage Shuro until one section of health is removed. Then, have the player with the Eye of Riven use the Super to interrupt Shuro’s team-wipe attack. Enter the next puzzle room, two players clear adds. Four players stand on requisite buttons to complete the image, then do the next two in the sequence. Jump up the rotating half-spheres to the next level. The recommended Power Level to defeat Morgeth, the Spirekeeper is 570 in the Last Wish raid in Destiny 2: Forsaken. Collect Taken Strength that spawns around the map. Cleans anyone who gets locked down by Morgeth. Collect last Taken Strength located in front of Morgeth. Collect Taken Essence from Eye of Riven. Interrupt Morgeth’s wipe mechanic with Taken Essence Super. The recommended Power Level to take on the Vault is 575 in the Last Wish raid in Destiny 2: Forsaken. Collect Taken Essence, confirm status: Penumbra or Antumbra. Use Taken Essense to cleans lock with the correct duplicate symbol. The recommended Power Level to take on Riven of a Thousand Voices is 580 in the Last Wish raid in Destiny 2: Forsaken. Collect Taken Essence and call out the symbol. Direct Taken Essence holder to correct symbol to cleanse it. Deal damage to Riven’s mouth or tentacle. Call out which of Riven’s eyes are glowing. Deal damage to Riven’s mouth and shoot the correct eyes. Go up the lift to the next floor and repeat. Go up the lift in the center of the main floor. 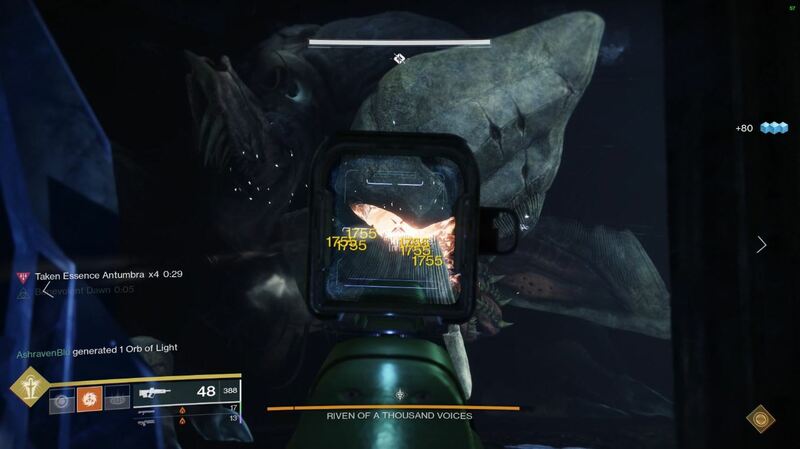 Clear enemies and damage Riven, note the glowing eyes. Deal damage to Riven’s mouth and shoot correct eyes. Stand on plates and shoot Riven’s weak points while descending. Repeat until last 10% of health. Find the path to the top and touch light. Deal damage to Riven’s mouth. Run into Riven’s mouth and destroy her heart. Dealing with Riven's Heart is an entirely separate encounter in the Last Wish raid in Destiny 2: Forsaken. 1) Choose a player to pick up the heart while everyone else remains within the area-of-effect. 2) After 15 seconds, the player will die and be taken to another realm. 3) Choose another player to pick up the heart and continue. 4) Have the chosen player count down the timer. 5) Player in the other realm collects the light when the timer gets low. 6) Chosen player continues until they die. 7) The next chosen player picks up the heart and continues. 8) The process repeats until the heart reaches the offering plate. The Last Wish raid is one of the longest, hardest raids in Destiny history. While there are certainly incentives to complete the Last Wish raid, Guardians will need to come prepared and devise a strategy for each encounter in the Last Wish raid. Note that we’ll continue to update this guide with more information. In the meantime, what do you think of the Last Wish raid? How far have you gotten? Let us know down in the comments below! For more on Destiny 2: Forsaken, be sure to check out some of our previous guides including how to enter the Shattered Throne in Destiny 2: Forsaken, where to find Toland in Destiny 2: Forsaken, and how to get Prime Engrams in Destiny 2: Forsaken. By reading through this guide, you should now know how to complete the Last Wish raid in Destiny 2: Forsaken.